Fall Festival End of Season Video! Thank You to everyone who participated in our Fall Festival ! What a great day we had! Nice weather, super creative people, tons of cute dogs, yummy food, pet adoptions and many wonderful friends! 2015 has been a great year of events! 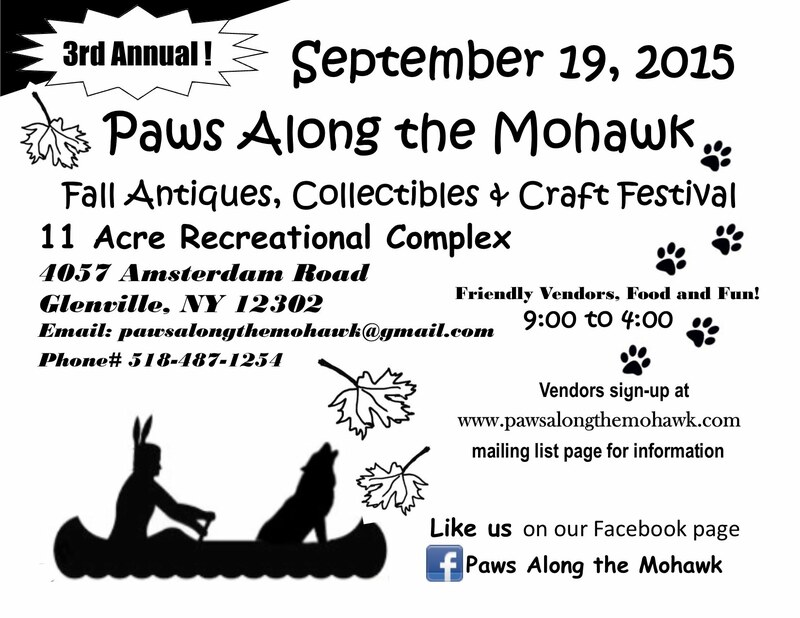 We are thankful to the many people who have been involved with making Paws Along the Mohawk venue sure a success! Here is a recap of the many Pet Paws that joined us this Sept 2015! Thank you goes out to the hosting Clubs, LIBERTY WORKING DOG CLUB & NORTHEAST K 9 CLUB. Check out the Gallery and Regional Training Facebook page. 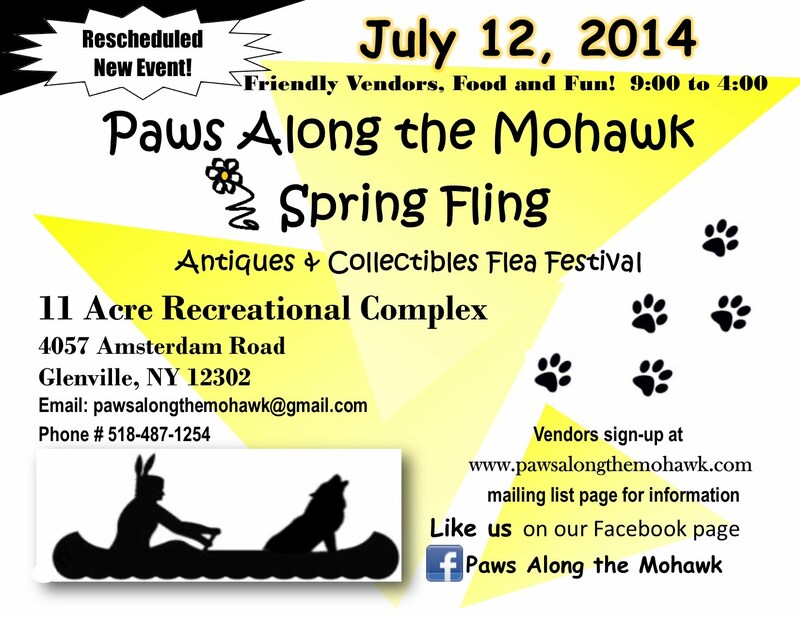 2014 Fall Antique & Collectibles Flea Festival! Check out last FALL Event Video! **10 x 10 field space plus one vehicle parked by your tent $60.00. Expecting a big crowd, with many local vendors, food, fun and demonstrations…. or at our website mailing list page! !